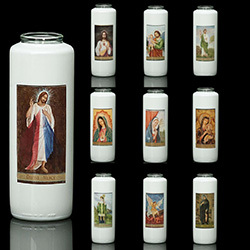 Sacred Image 6-Day Glass Offering Candles. Sold in boxes of 1 dozen. Each Candle is in an individual glass. 8-1/16" height x 2-13/16" diameter. Available Divine Mercy, Immaculate Heart of Mary, Our Lady of Guadalupe, Sacred Heart, St. Joseph, St. Jude, St. Michael the Archangel, and St. Peregrine. Please select. Also available in 3-Day or 6-Day reusable Globes. Other Sacred images available. Quantity discounts and free delivery options are available. 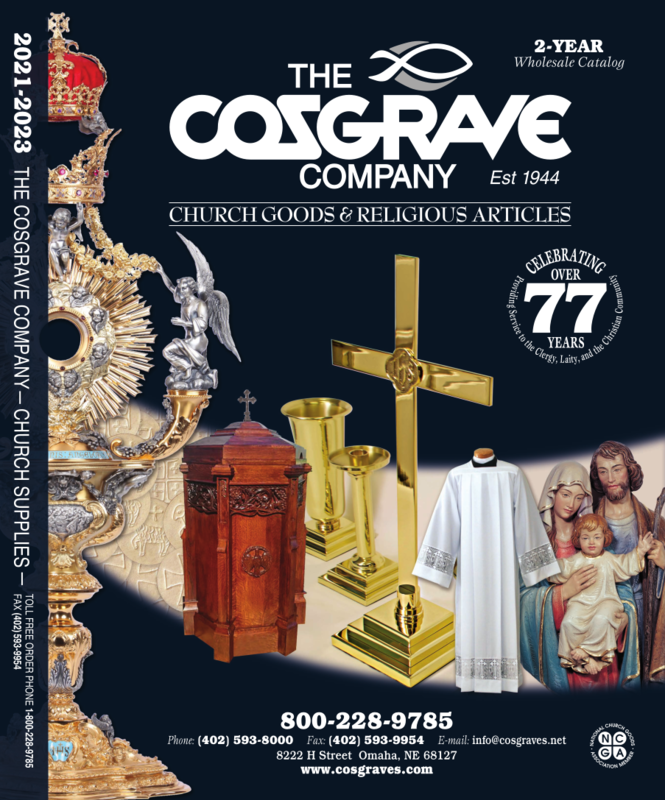 Please inquire to info@cosgraves.net or Toll Free 800-228-9785.